TrekkSoft is the ultimate booking solution for DMOs, DMCs, visitor bureaus and tourist offices around the world. Use TrekkSoft to connect tour and activity operators in your region and provide travellers with a more holistic experience. 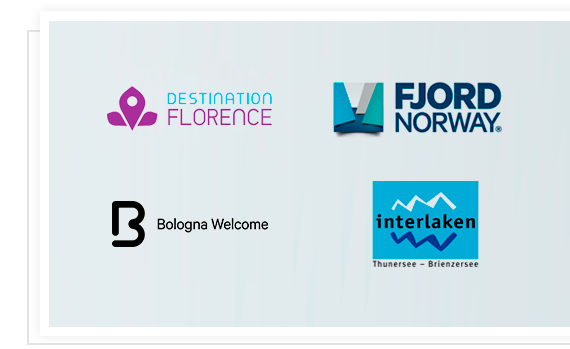 Our clients include tourism boards such as Fjord Norway, Destination Florence and Tourism Interlaken. Part of your job is to empower suppliers to get online – but it's not always easy. Make the transition easier by choosing the best booking system for your destination. When you're all using the same system, it's so much easier to support each other, sync inventories, and coordinate marketing campaigns. TrekkSoft delivers everything that a destination needs to thrive online, both at the supplier level and the DMO level if you choose to re-sell activities. Sell, manage and grow with us and our caring support team. As an Enterprise customer, we can provide your destination with even more custom solutions, such as a destination booking app or advanced API connections. Our research shows that top-performing DMOs make experiences the cornerstone of their destination marketing. Put experiences front and centre in your own strategy by turning your website into a marketplace. 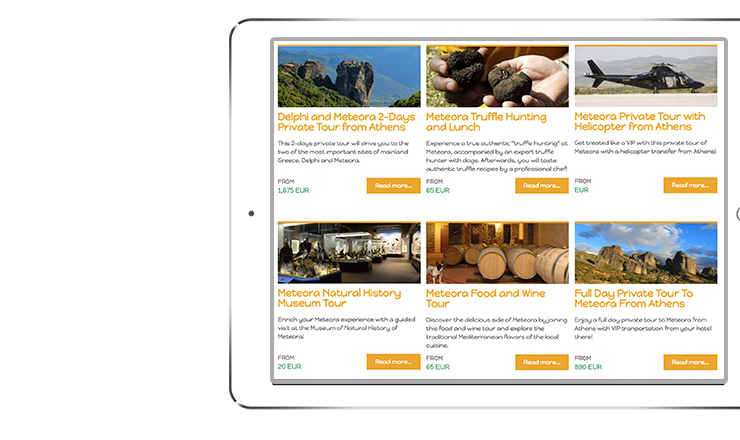 Take inspiration marketing a step further and allow visitors to book and pay for tours and activities on your destination website. Drive business to local suppliers while making trip planning more convenient for visitors. If a visitor is looking for things to do, simply direct them to your website or book into the suppliers live inventory right then and there. Take your in-destination collaboration a step further with TrekkSoft. Our tools include a Booking Desk, a Partner Network to enable cross-selling, and a user-friendly Point of Sale Desk. Enable local hotels and restaurants to recommend your website as the easiest place to book and pay for things to do. Or, take things a step further and allow local businesses to act as agents or partners. Every time they book directly into your destination's live inventory, they will receive a commission set by you. With the Point of Sale Desk, it's easy to process bookings via resellers all over your destination. Get a clearer oversight of your destination's key performance indicators so you can do more of what works. With TrekkSoft Reporting, it's easy to stay on top of bookings, revenue, and which channels and resellers are bringing you results. Compare timeframes and see what's really succeeding. As a Professional or Enterprise customer, access extended Business Intelligence for a more comprehensive understanding of visitors to your destination. "Now that 110+ of our suppliers use TrekkSoft, we can develop our destination in a better way"
If you're a tour or activity company or a tourism board, we have the perfect plan for your business. Can't find the page I'm looking for? TrekkSoft was founded to address the needs of our local tour and activity industry in Interlaken, Switzerland. We understand the industry and you can rely on our team to onboard your business, introduce you to digital best practice, and guide you to success from the start.